Easter is Sunday, April 21, 2019 this year. This adorable Easter card is perfect for the cat owner, cat lover, cat mom or cat dad in your life. 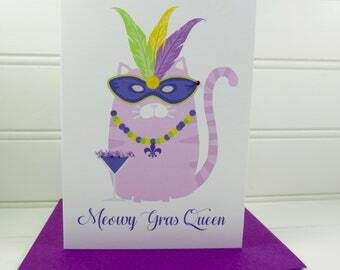 This card can be fully customized and personalized at no extra charge and also includes a free matching colored envelope, round envelope seal, and a U.S. Forever postage stamp. 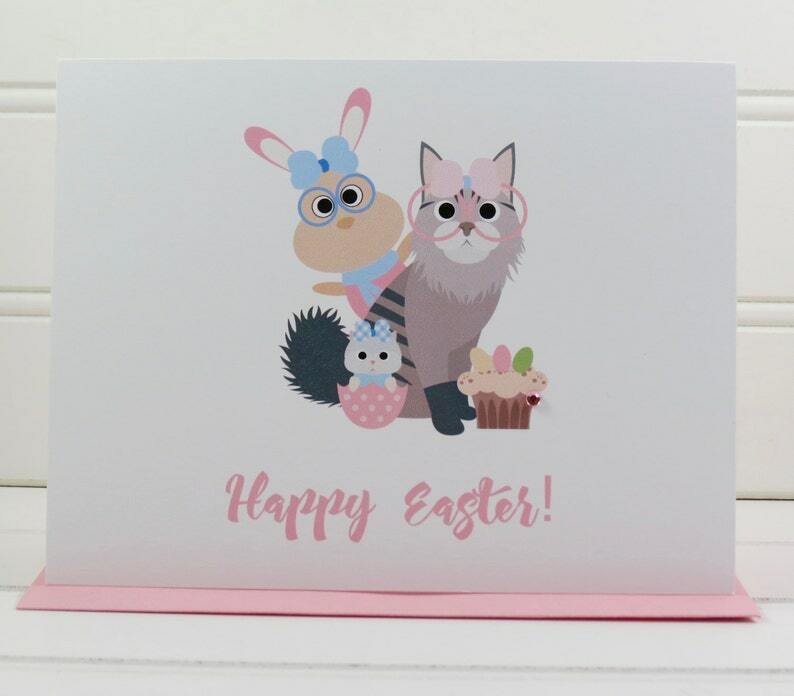 On the front of the card, there is an illustration of a cute cat dressed in Easter colors with an Easter bunny standing behind him and a cute little kitty popping out of an Easter egg. The message below the illustration says, "Happy Easter". The card measures 4.25” x 5.5” when folded and is blank on the inside.